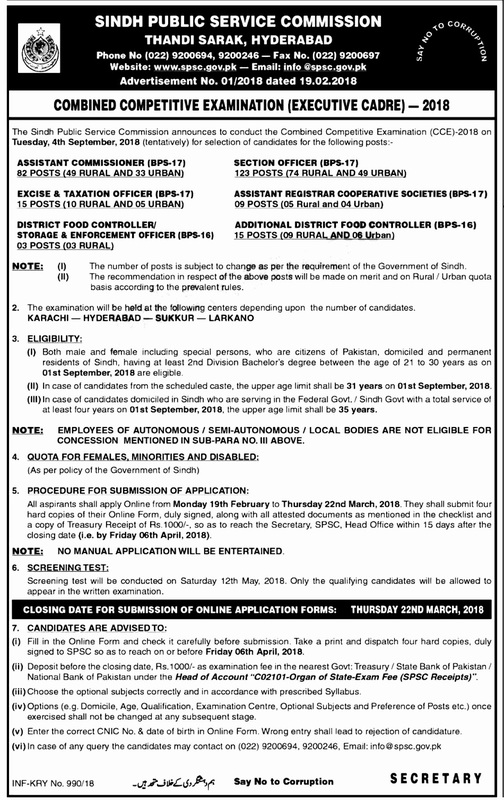 Latest Jobs 2018 in SPSC Advertisement No 01/2018,Sindh Public Service Commission . Fill in the Online Form and check it carefully before submission. Take a print and dispatch four hardcopies, duly signed, to SPSC so as to reach on or before Friday 06th April, 2018.